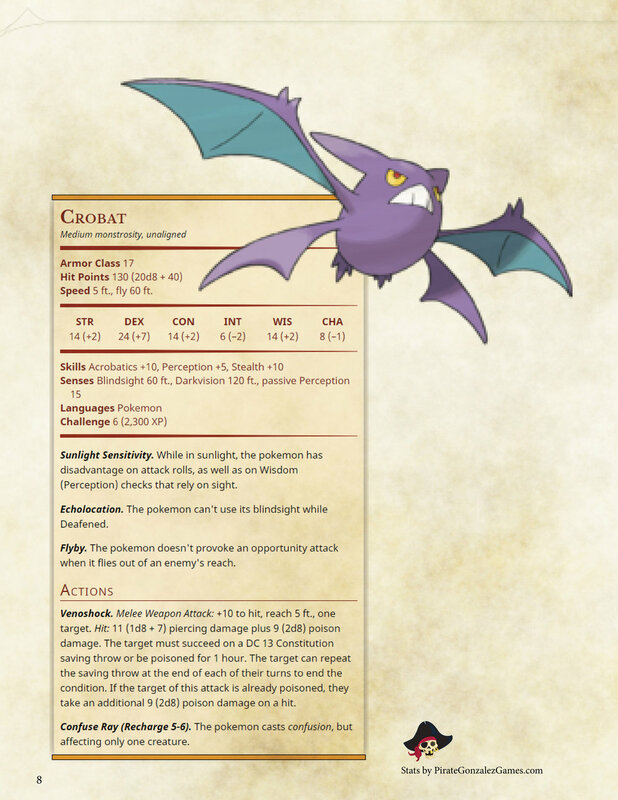 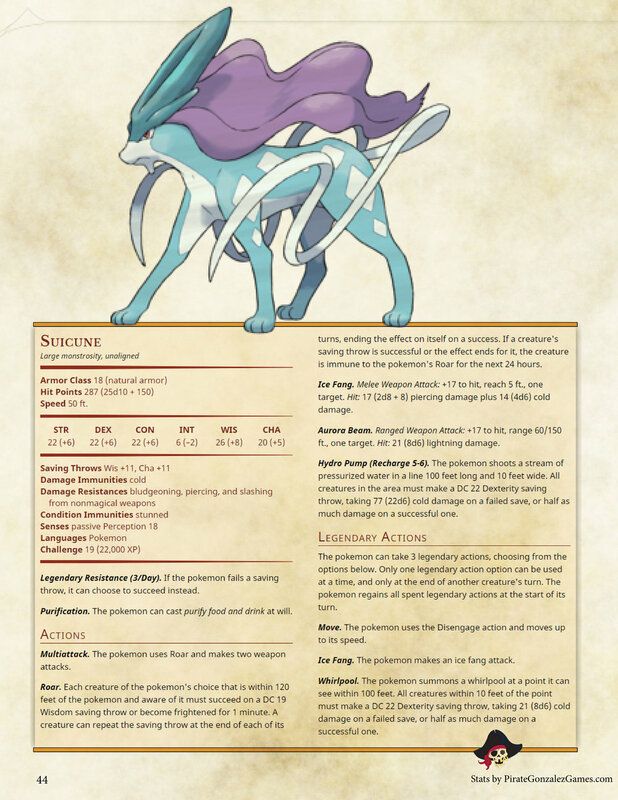 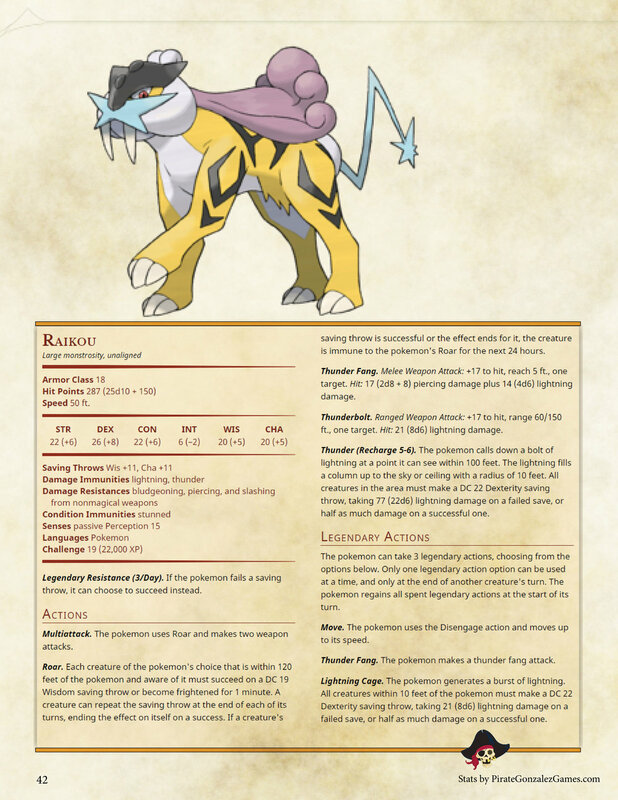 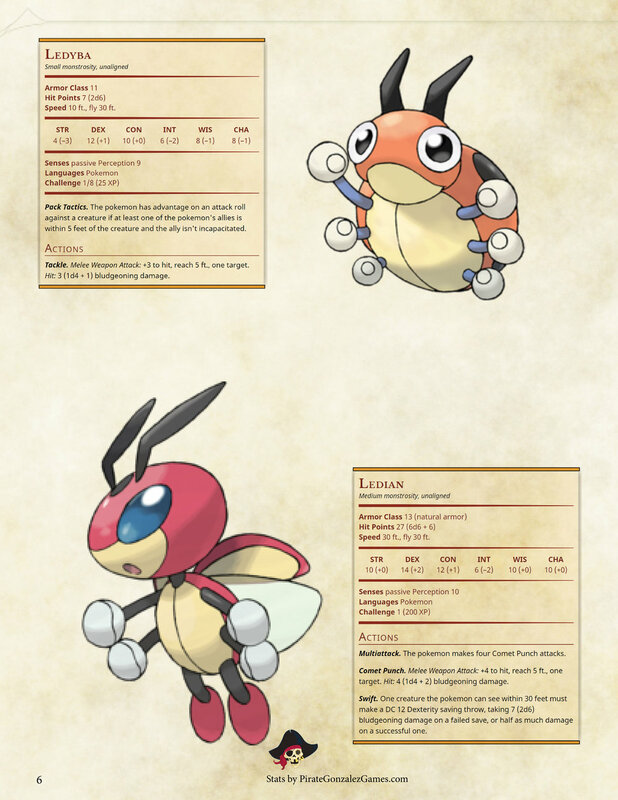 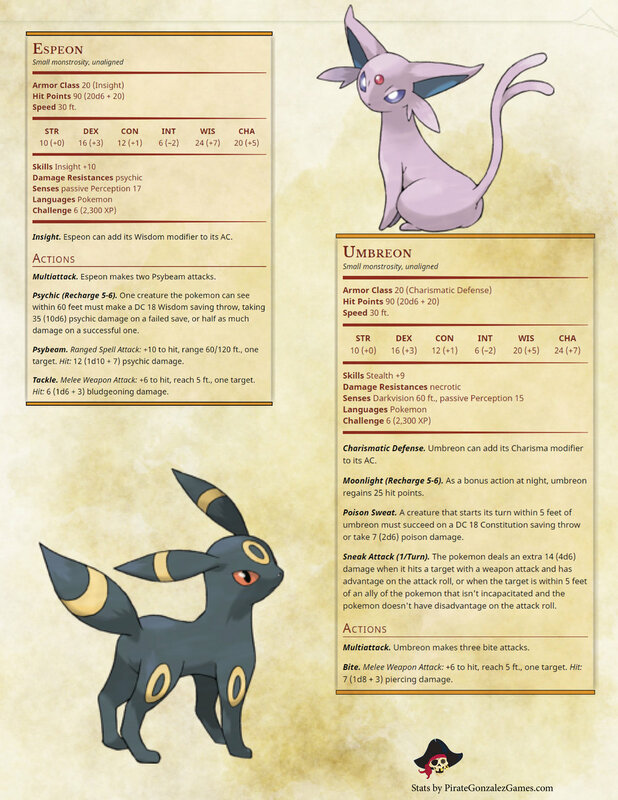 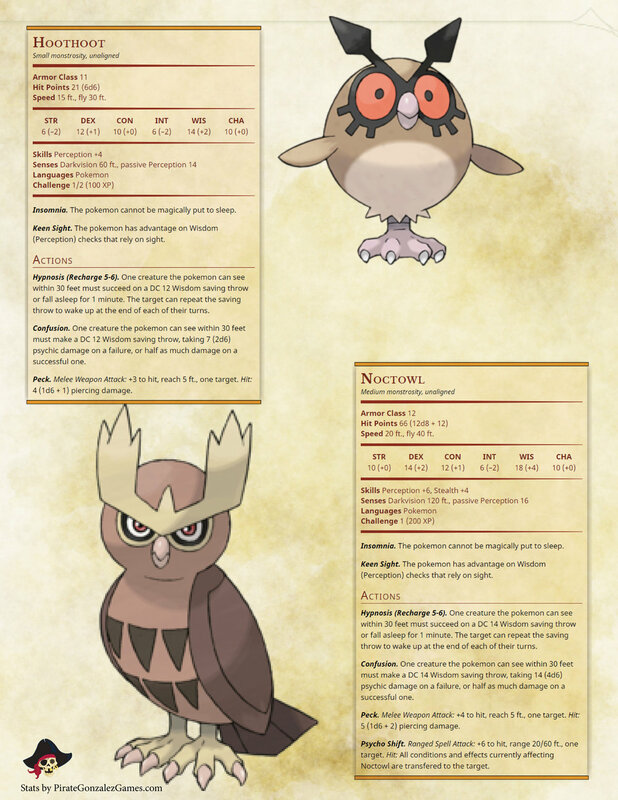 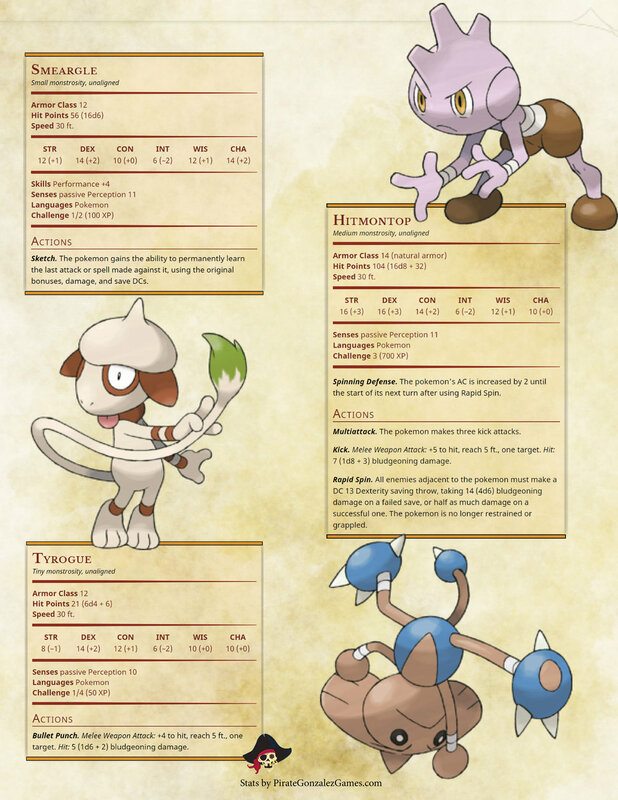 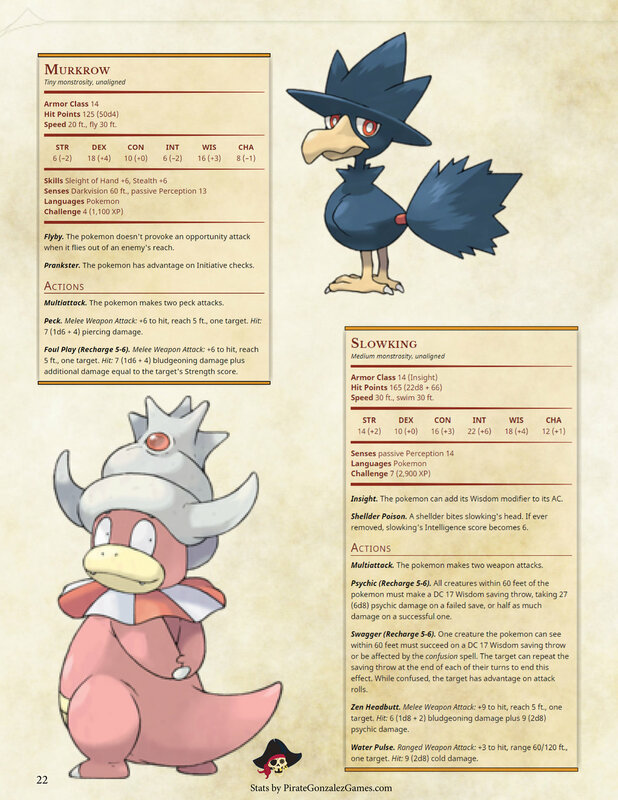 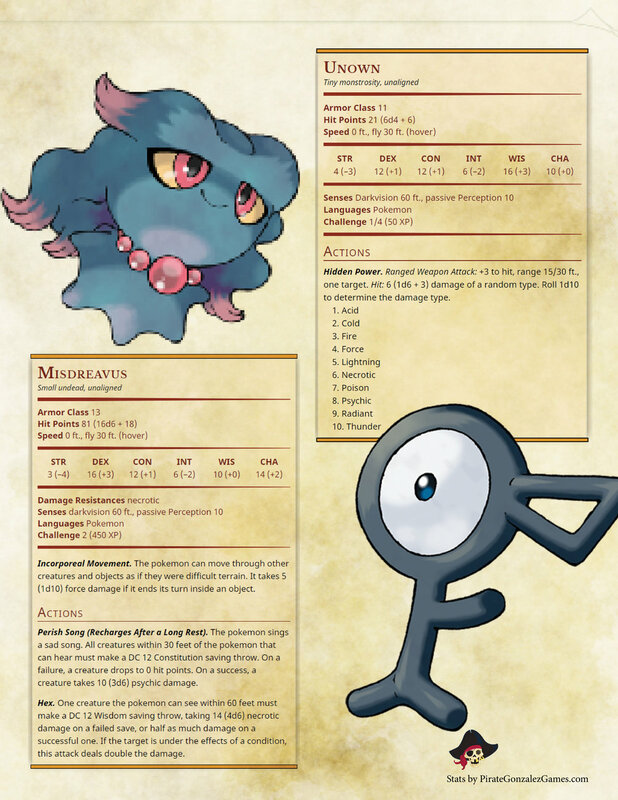 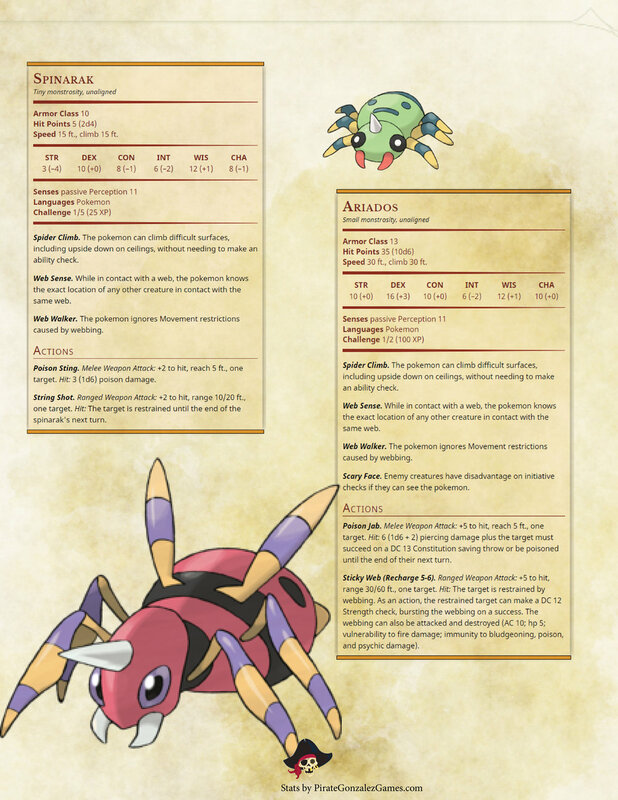 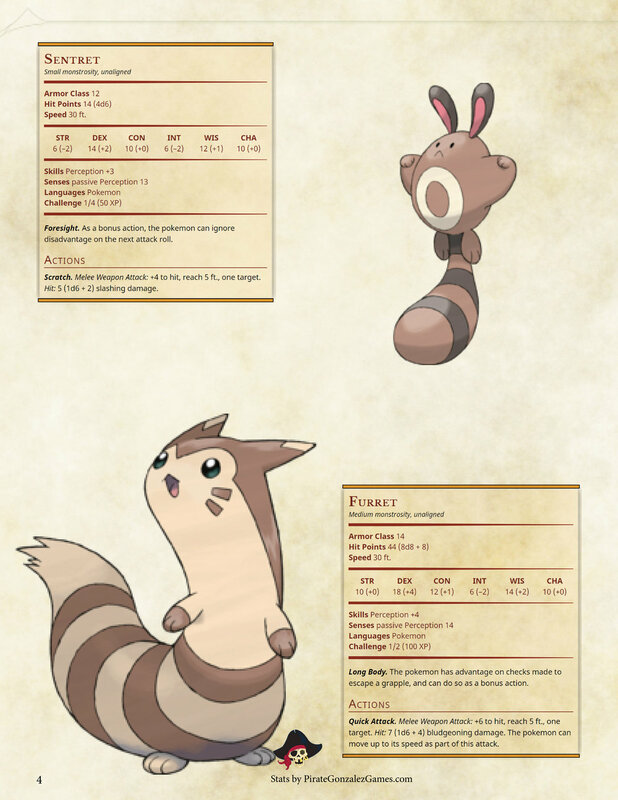 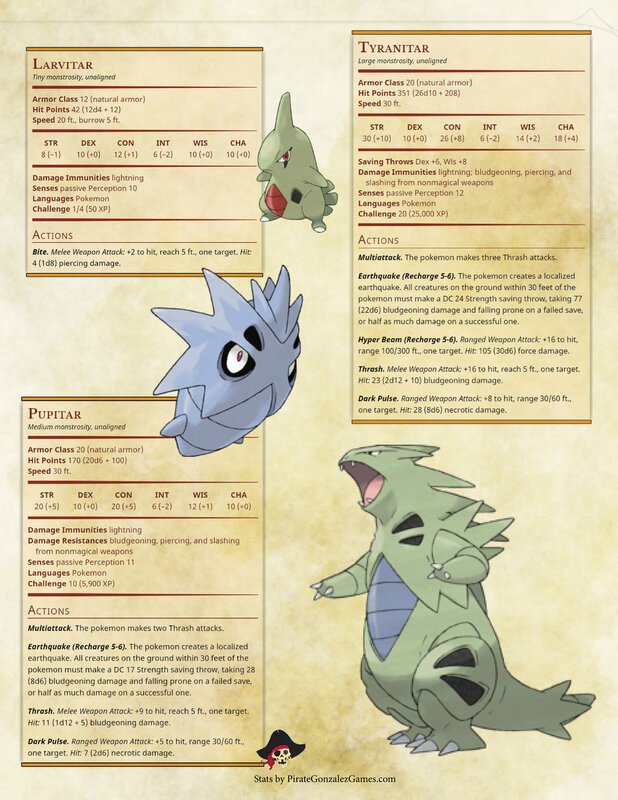 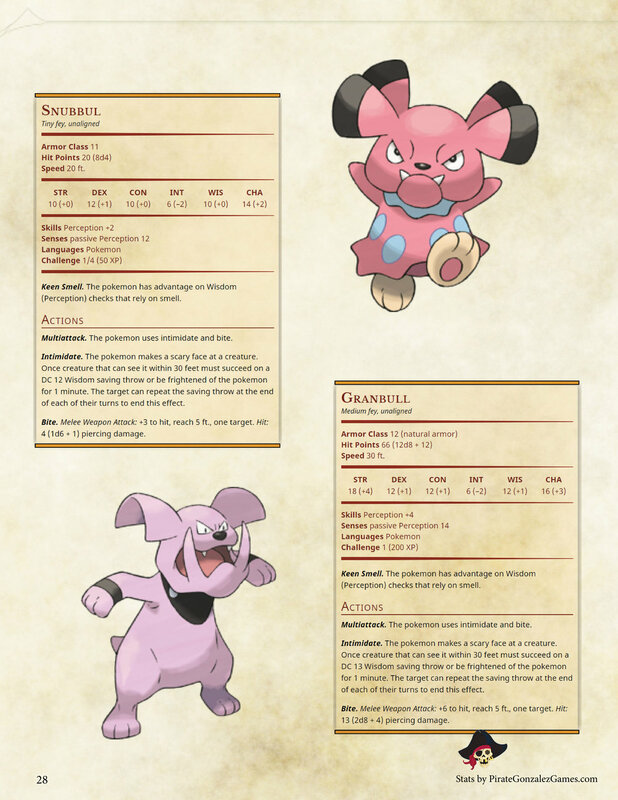 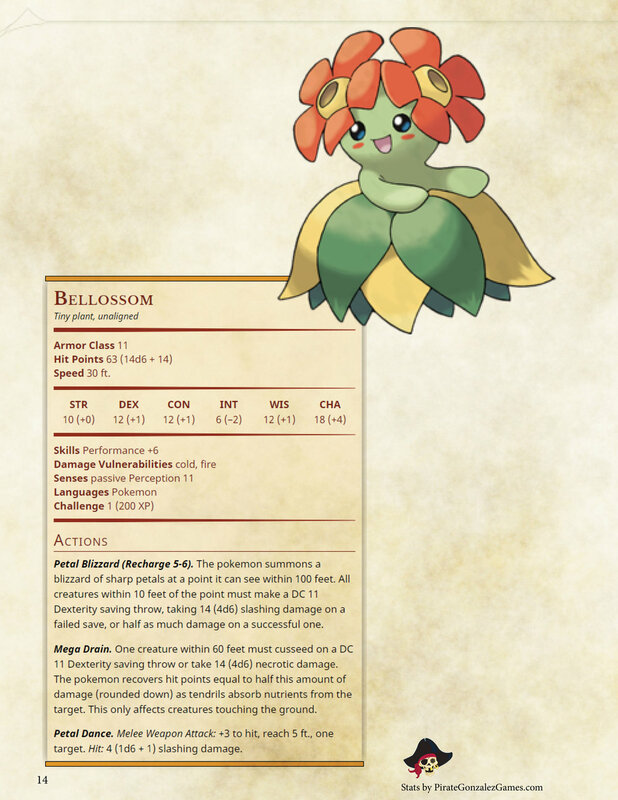 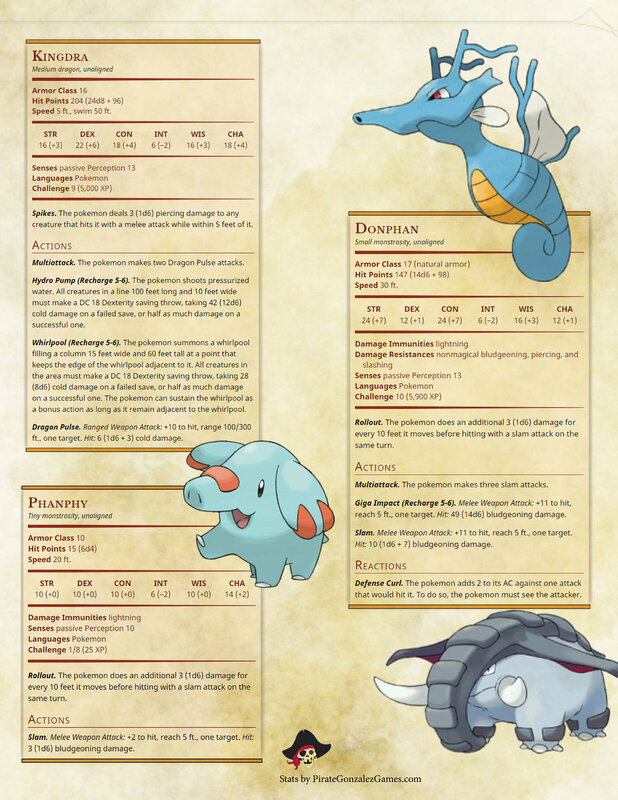 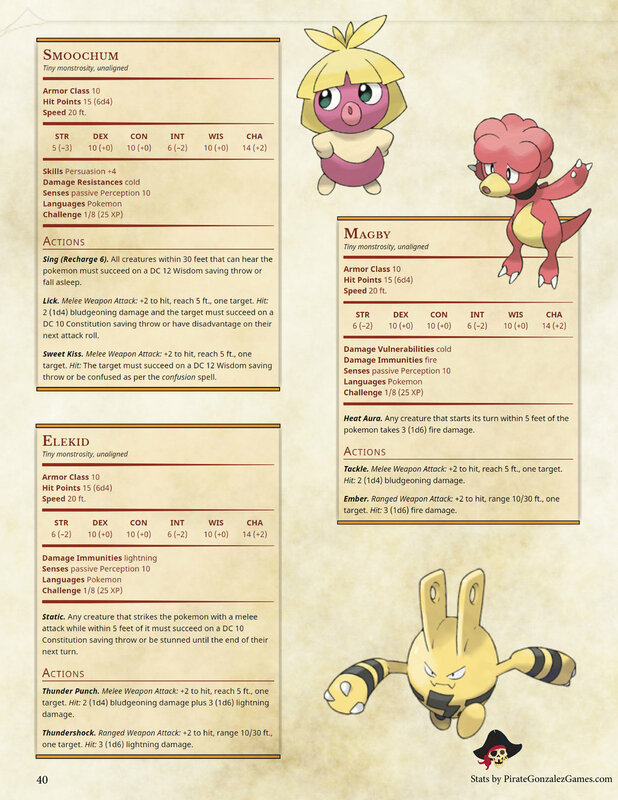 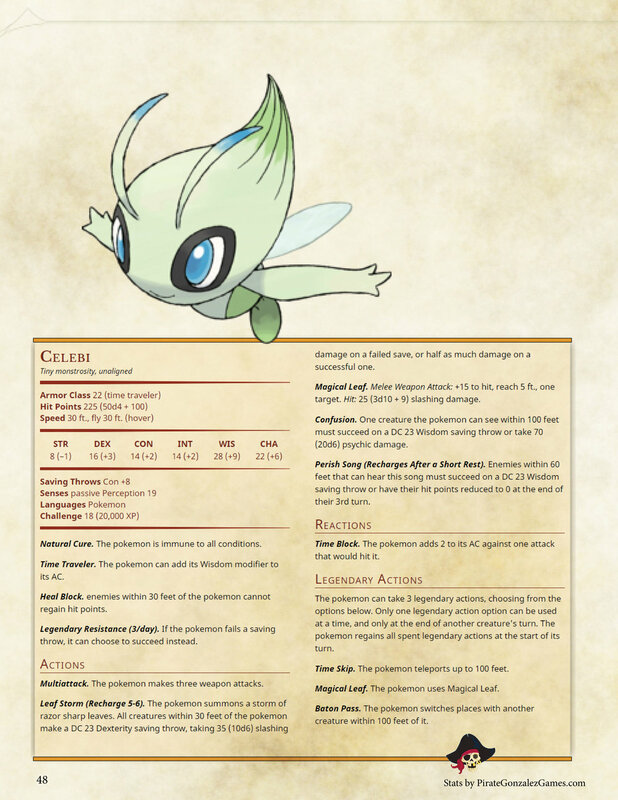 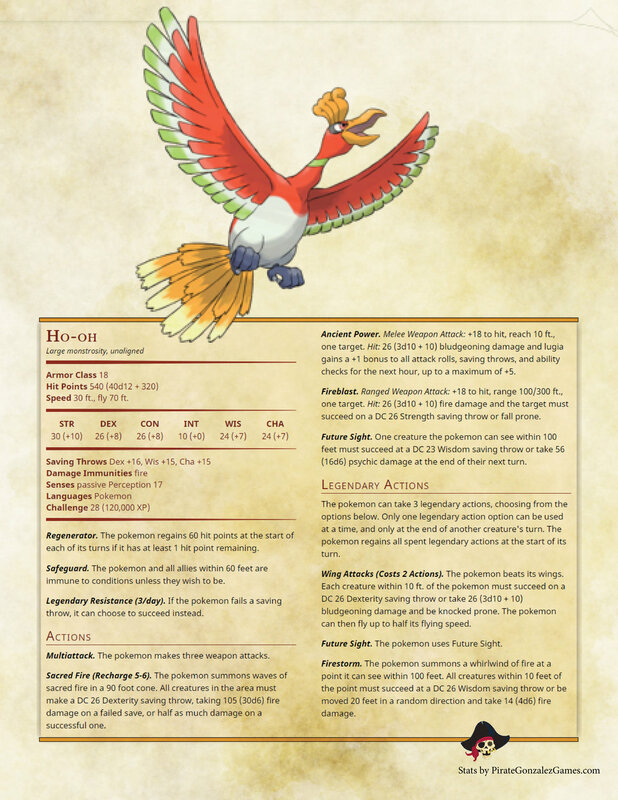 The Johto pokedex for D&D 5e is now here! 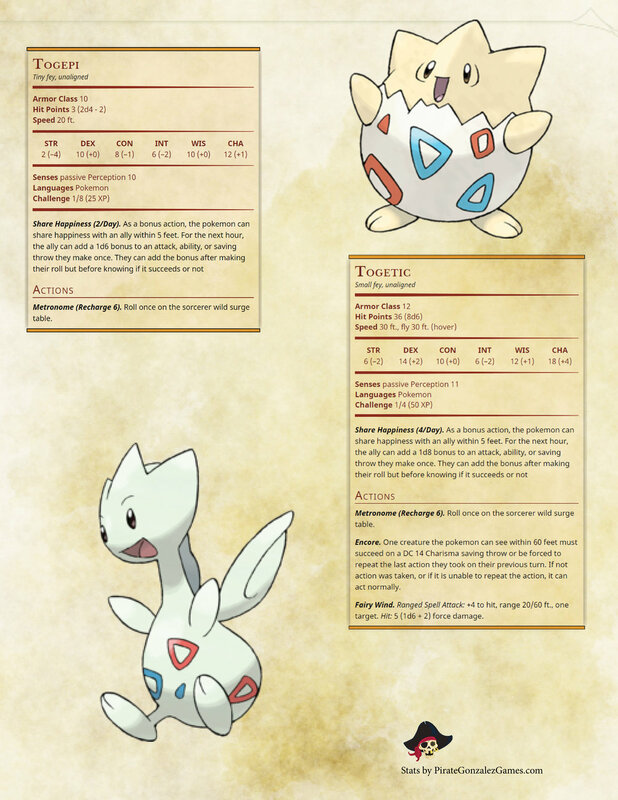 I hope you enjoy the all of the pokemon from the Gold and Silver games, which were my favorite! 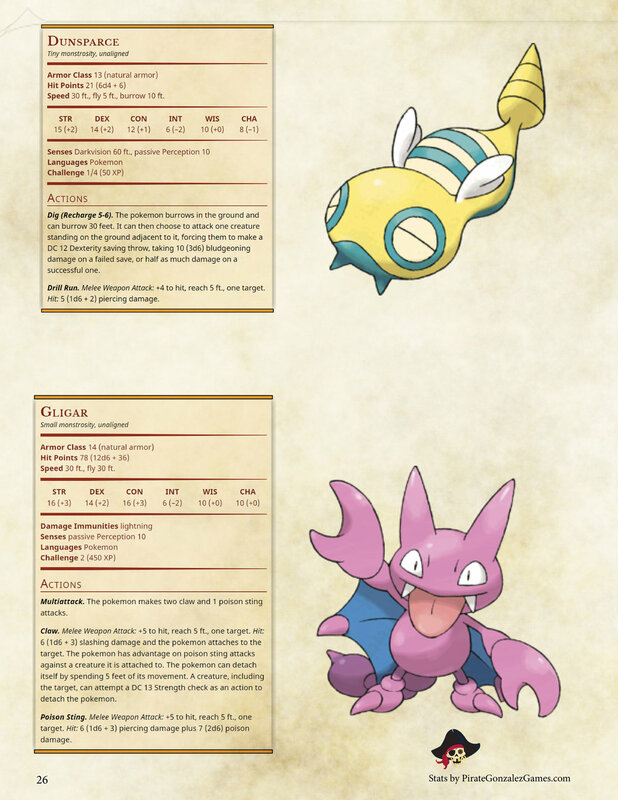 I applied more of my monster creation knowledge to these pokemon, but beware! 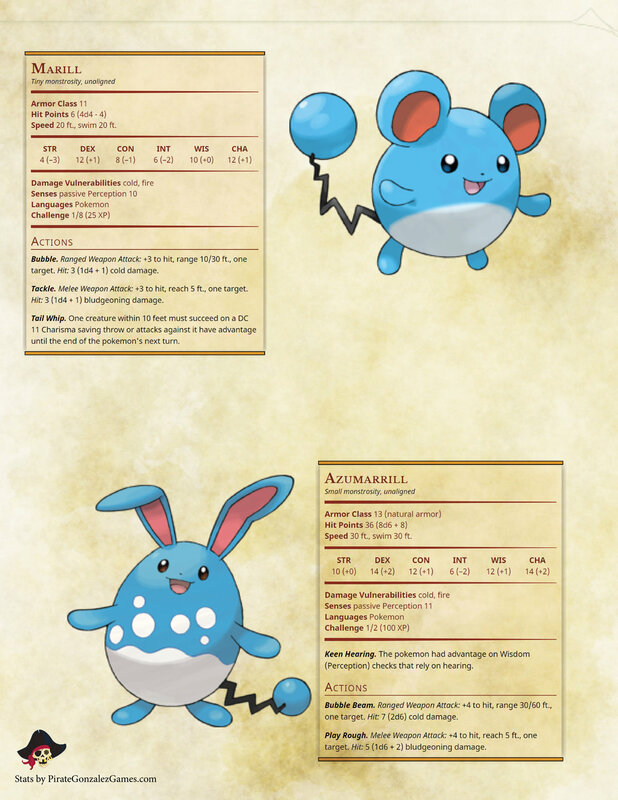 They haven't been tested in the field yet. 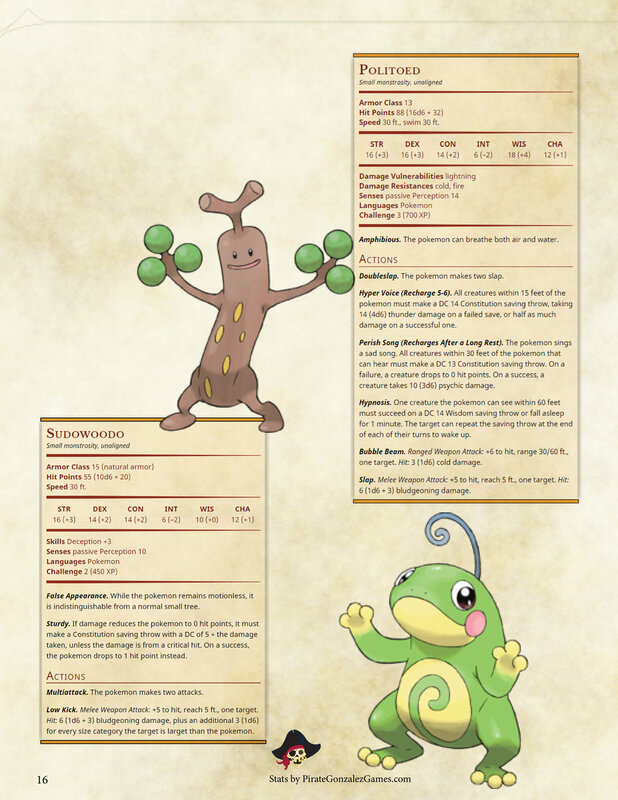 There may be some unintentional imbalances, so just look them over before you use them in your 5th edition D&D game. 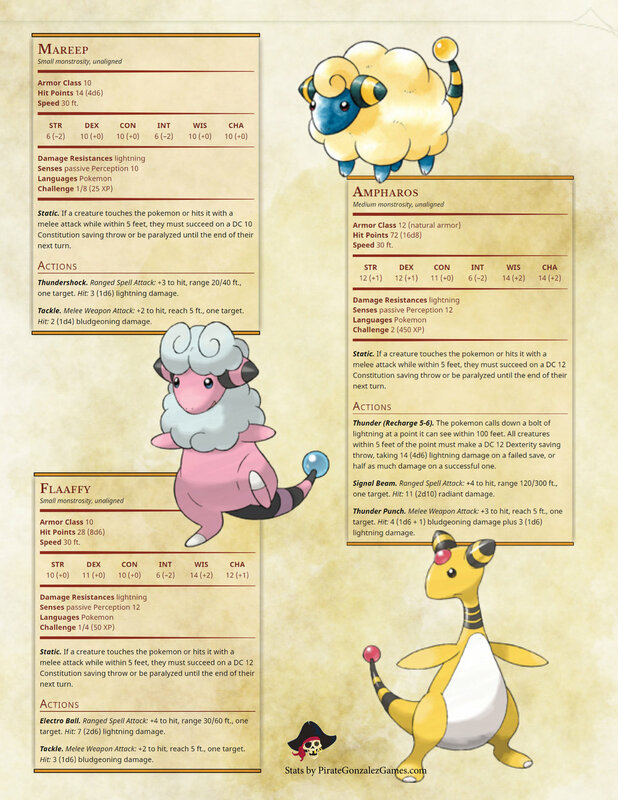 I also tried to cover a wide variety of CRs for the pokemon, so don't expect them to be as strong or weak as they were in the games! 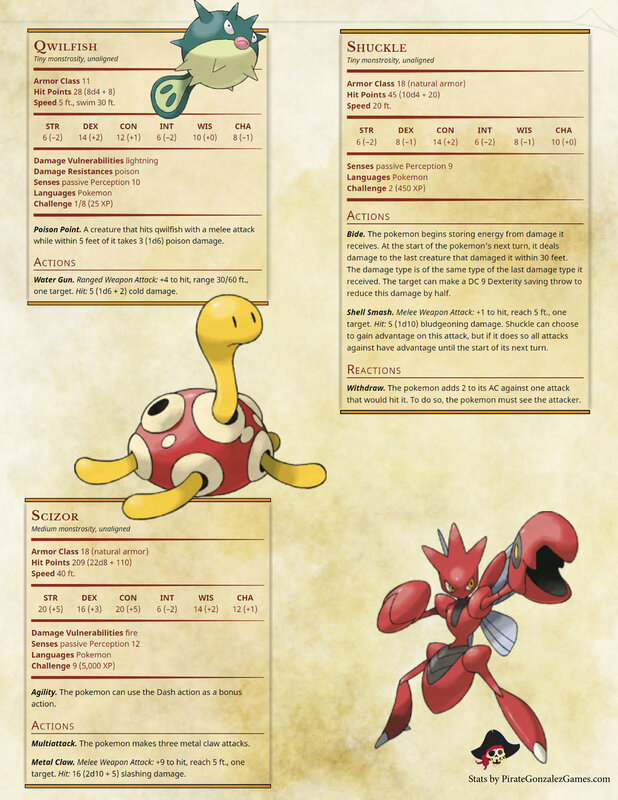 I also made these stat blocks a different way than the Kanto pokedex, so if you see something wrong, let me know and I can easily fix it! 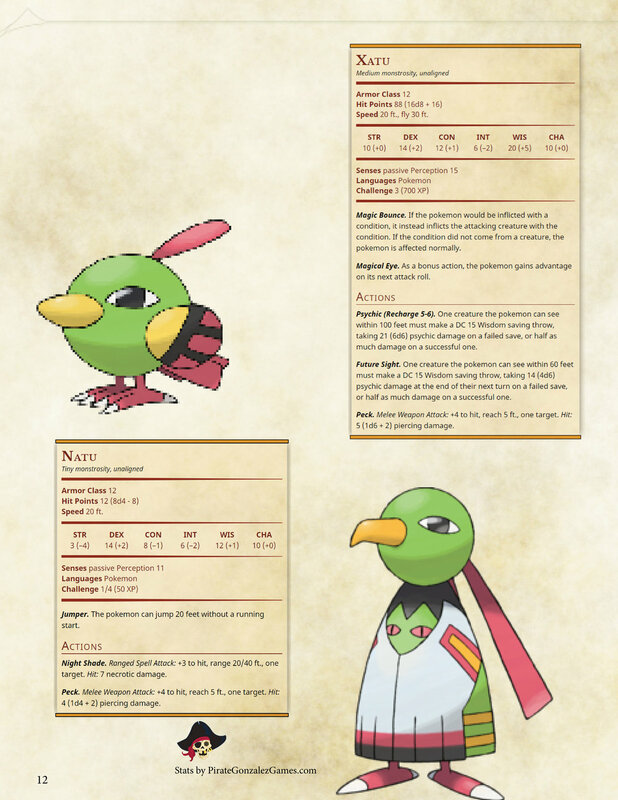 You can give me a shout on twitter @pirategonzalez. 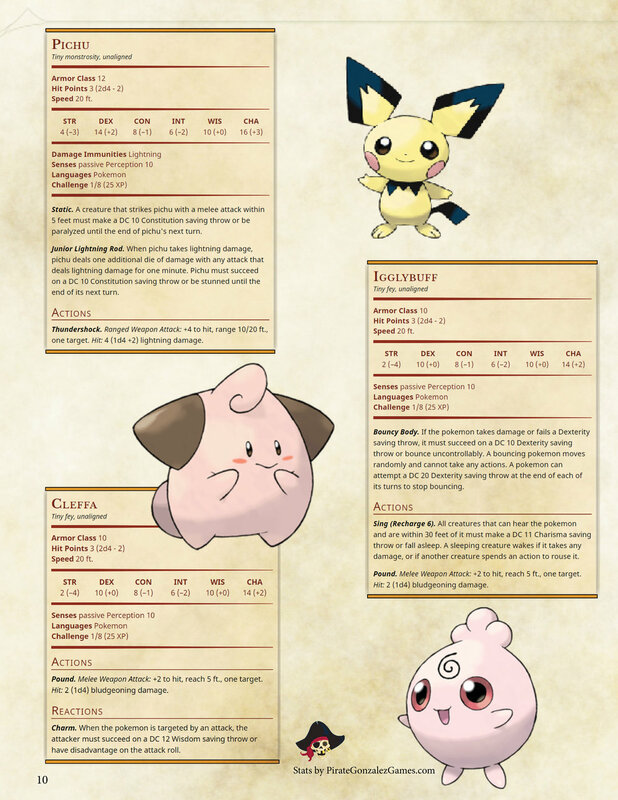 Thanks for checking the pokemon out! 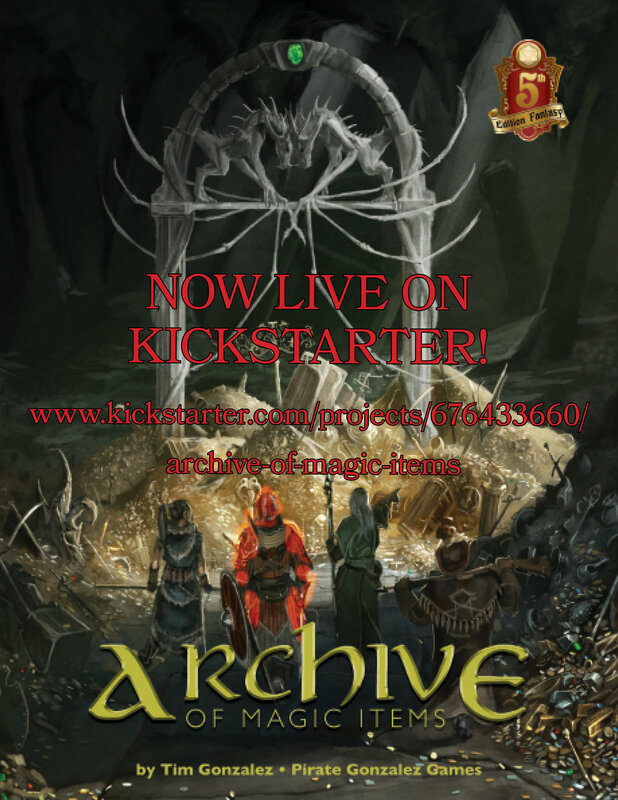 If you enjoyed this, please consider checking out my Kickstarter for 5e, the Archive of Magic Items! 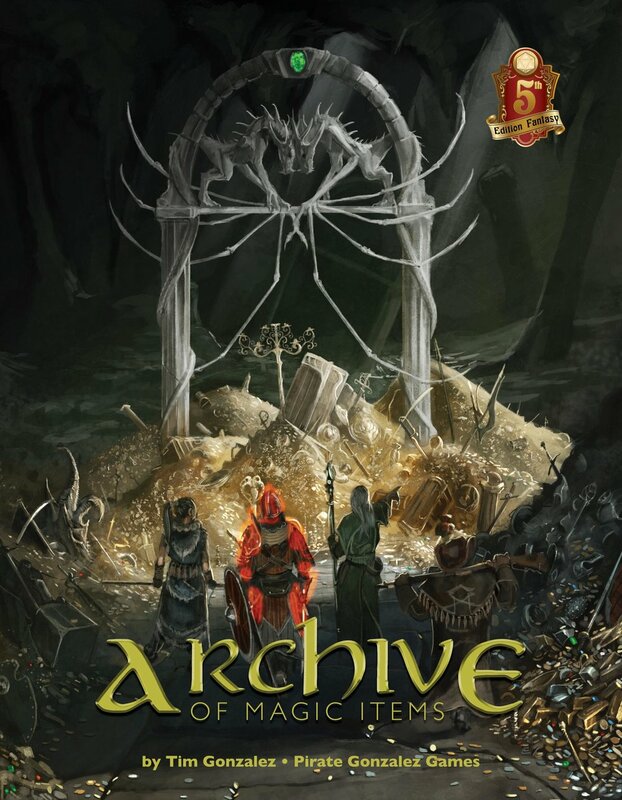 It's a collection of 350+ unique, interesting items for your 5e game.